I'm trying to draw every morning these days, a little bit after praying Fajr, and it's a really nice way to get things out of my system and just practice. I've been feeling like I'm in a bit of a rut - I wasn't really drawing much, and when I was, I was just stuck drawing the same things over and over and not doing anything with them. So I decided to actually create a personal project out of a few of my drawings as I try to break out of that shell. Anyhow, I figured I should share it here, for anyone else who is interested in printing it out as a coloring page for their kids to color and decorate. I think it would look great with some glitter glue and gems too! 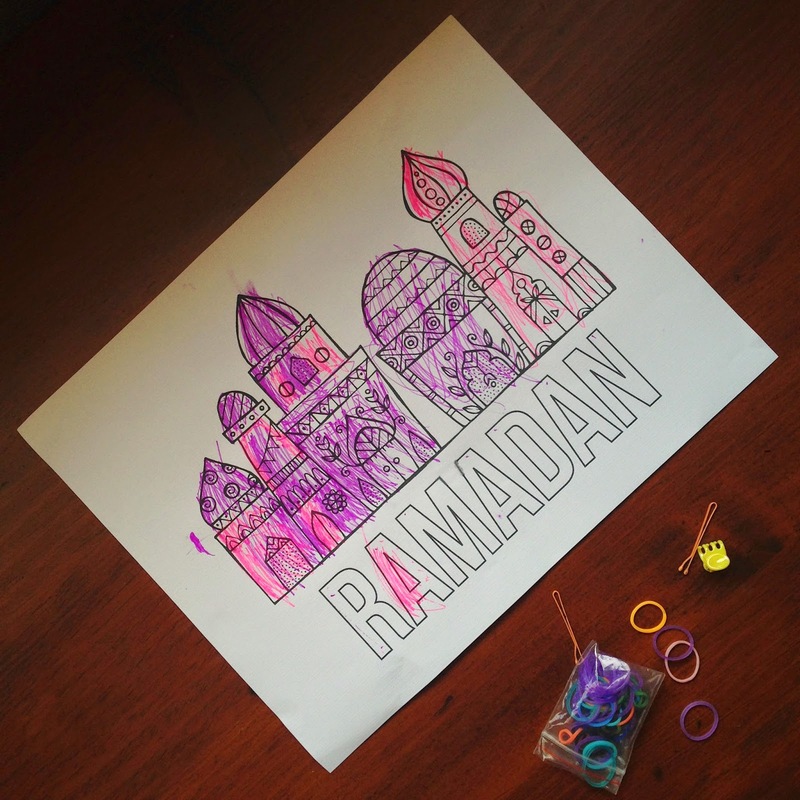 I know that a lot of people are trying to do Ramadan-related art and crafts with their families and I love the idea of being able to contribute to that. Hope you enjoy it! Would love to see the end result when your little ones are done with it.